I was on a panel at Philcon earlier today, and I promised the audience that I would post the list I’d made up of some of my favorite comics (since I forgot the handouts I’d made to bring). So hello Philcon attendees, and anyone else who’s looking for comic recommendations! Welcome, and enjoy! Written by Scott McCloud. Perhaps the most definitive works examining where comics came from, how they work their special brand of magic and where the medium might be heading. They are fun and easy to read, yet also quite scholarly and informative. Written by Neil Gaiman. One of the most ambitious series of all time, this modern myth follows the designs of personified cosmic forces such as Dream, Death, Destiny, Desire and Despair, as well as dozens of the lives they touch throughout time and space. A heavily allusive yet very accessible and intricately plotted tale from start to finish. Written by Bill Willingham. Exiled from their homelands by a villainous being known as the Adversary, refugees from dozens of fairy tales band together in a small community in modern New York. A good premise executed with wit, humor and endless originality. Written by Alan Moore. An arch, intelligent, postmodern examination of Victorian values featuring a “dream team” of period heroes such as Alan Quartermain, Mina Harker and Dr. Jekyll as they battle all manner of evil plots and sinister villains. Written by Brian K. Vaughn. What if a superhero decided to treat the disease instead of the symptoms? In this alternate timeline, a superhero gives up punching muggers and runs for mayor of New York. In office, the true test of his heroism really begins. Written by Warren Ellis. Black humor, trippy illustration and cultural satire combine in this sci-fi tale of a gonzo journalist named Spider Jerusalem and his quest for Truth! in a bizarre yet all-too-familiar future city fraught with idiocy and corruption. Written by Garth Ennis. A preacher sharing his body with a renegade cosmic force, his ex-assassin girlfriend and their Irish vampire buddy – and that’s just the first issue! This series is a bold, bawdy, bloody look at faith, loyalty, America and second chances. Written by Robert Kirkman. Son of Omni-Man, protector of the world, Marc can’t wait for his superpowers to develop – but when he at last becomes a hero, he learns just how hard life is under the mask. A sweet, funny and charmingly retro super hero comic. Written by Brian K. Vaughn. An escape artist named Yorick and his pet monkey, Ampersand, are the only survivors of a mystery plague that kills all the male organisms on the planet. Part mystery, part romance, part gender study, pure science fiction. Written by Garth Ennis. In a world where superheroes are the new weapons of mass destruction, the CIA keeps one group of absolute badasses around to keep the supes in line: The Boys. Bloody, profane and provocative, this series examines the human cost of superpowers and the damage they do on the human mind. Written by Alan Moore. Set in a dismal totalitarian future Britain, this tale follows a freedom-fighting terrorist as he trains his successor to sow intellectual mayhem. A deep and disturbing dystopian tale in the tradition of 1984 and Brave New World. Written by Bryan Lee O’Malley. A young slacker falls in love with a mysterious girl, but before they can live happily ever after, she reveals that first he must defeat her seven evil ex-boyfriends! A hilarious, slightly surreal tale told with lunatic charm, featuring manga-esque art and a lot of truly funny, knowing and often surprisingly touching dialogue. Written by Brian Azzarello. An old man offers select hard luck individuals a unique gift: a briefcase containing a folder full of proof that someone else ruined their life, an untraceable gun and 100 bullets. A stylishly illustrated, grim, twisting noir action epic. Written by Mark Waid. What happens when great responsibility no longer accompanies great power? As Superman and his peers grow older, a new generation of irresponsible heroes and depraved villains threatens to tear down everything they’ve built. Written by Brian K. Vaughn. A group of teenagers run away from home after learning their parents are supervillains, vowing use their own gifts to bring their folks to justice. A mundane premise, maybe, but it’s executed with real humor, wit and heart. Vaughn writes teens with honesty and sympathy, and without talking down to them. Written by Alan Moore. In Neopolis, a city where everyone has a superpower (however minor), who keeps the peace? This smart, quirky, visually striking “cop show” comic follows the super-police officers working to keep Neopolis safe, and it’s one helluva ride. Beware the volumes done after Moore left, though – let’st just say the quality is different and leave it at that. Written by Frank Miller. 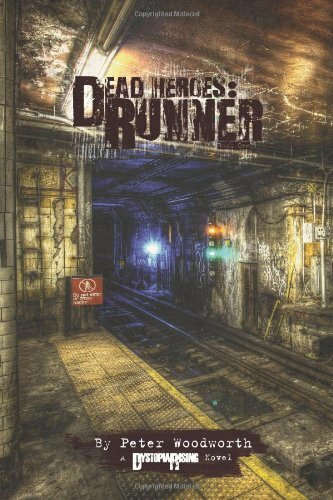 This graphic, brutal noir series follows a number of different characters as they move through the rain and shadows of Basin City, seeking justice and vengeance, addiction and absolution. A highly stylized series of grim, hardboiled tales. Written by Brian Wood. After the Second Civil War grinds to an uneasy truce, novice journalist Matt Roth finds himself the lone voice for a ravaged New York City awash in martial law, militant gangs and scared refugees. Gritty, idealistic and passionate. Written by Ed Brubaker. Old school heroics and Cold War espionage mix in this twisting tale of a superhero gone undercover in a league of villains, only to find that he’s no longer sure which side he’s on. A clever blend of two genres, with deceptively simple art. Feel free to chime in with your own recommendations! This entry was posted on November 10, 2013 by petewoodworth. It was filed under Uncategorized and was tagged with thoughts. This is a solid list — thank you! I *adore* Brian K. Vaughan — tore through Runaways and Y the Last Man — but I had a hard time with Ex Machina. Hundred felt a little Marty Stu-ish to me, and the whole thing reads like a drawn-out fantasy of “Here’s-a-guy-I’d-vote-for.” Then again, this was a few years ago, and I kind of gave up 3/4 of the way through — maybe I missed a test of Hundred’s mettle that would expose a character-strengthening weakness.